Train as a carpenter or builder and you’ll work on projects of all sizes. From commercial and residential buildings to detailed components like windows, doors and staircases... there are plenty of jobs out there. Whether you’re already in the industry or want to start an apprenticeship, a carpentry or building qualification from Unitec will help you make the most of your building and carpentry skills. At Unitec, we like to build things. For our students, this means you won’t just learn the theory, you'll spend most of your time in our well-equipped workshops. Join one of our pre-trade programmes, and you could be building new houses on-campus, which are sold to the public once completed. It’s a great way to get a sound knowledge of exterior wall and roof cladding, foundations, interior lining and finishing, and wall and sub-floor framing. If you're already in the trade and ready and/or ready to undertake your apprenticeship with your employer we can help you get registered with our managed apprenticeship. 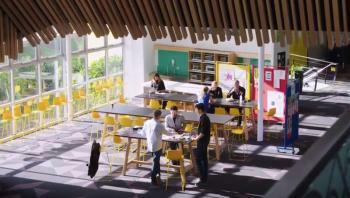 New Zealand Certificate in Construction Trade Skills - Joinery 3 24 weeks full-time Assistant tradesperson, Assistant Joiner, Apprentice carpenter, Assistant builder 2019 applications are closed. Register your interest for 2020. New Zealand Certificate in Construction Related Trades (Supervisor) 4 Full-time for 6 months, or part-time options available Business Owners/Operators, Construction Assistant, Construction Co-ordinator, Contract administrator, Assistant Project Manager 2019 applications are closed. Register your interest for 2020. Unitec is on first name terms with the big players in the building industry. That includes the Certified Builders Association of New Zealand, Registered Master Builders Federation, Building Officials Institute of New Zealand, Joinery Industry Training Organisation (JITO) and Master Joiners. For you it means that what you learn in our carpentry and building courses reflects best industry practice, and the latest technology, methods and materials. An apprenticeship is a commitment between an apprentice (the student), Unitec (the trainer) and an employer (the mentor) to combine study with work experience. It’s the best way to complete the set number of hours of theory and practice you need to become qualified and registered in your trade. 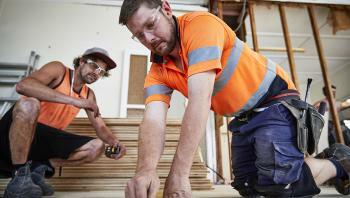 Unitec’s New Zealand Certificate in Carpentry programme isclosely linked with the industry to give you the theoretical skills that employers need. 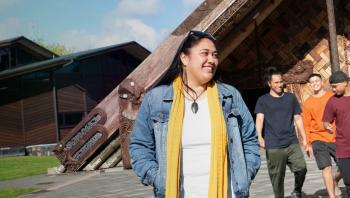 If you are Māori or Pacific, aged 18 to 40, and you want to train as a carpenter, Unitec has a scholarship for you. We have a significant number of Māori and Pacific Trades Training Scholarships up for grabs which cover your tuition fees for selected certificate programmes.